Yup, that is delicious banana bread on a scratched up plate. Told ya long ago I don’t stage my food items. 😂 Although, soon those charming 50s countertops won’t be featured in this blog anymore – more on that later! 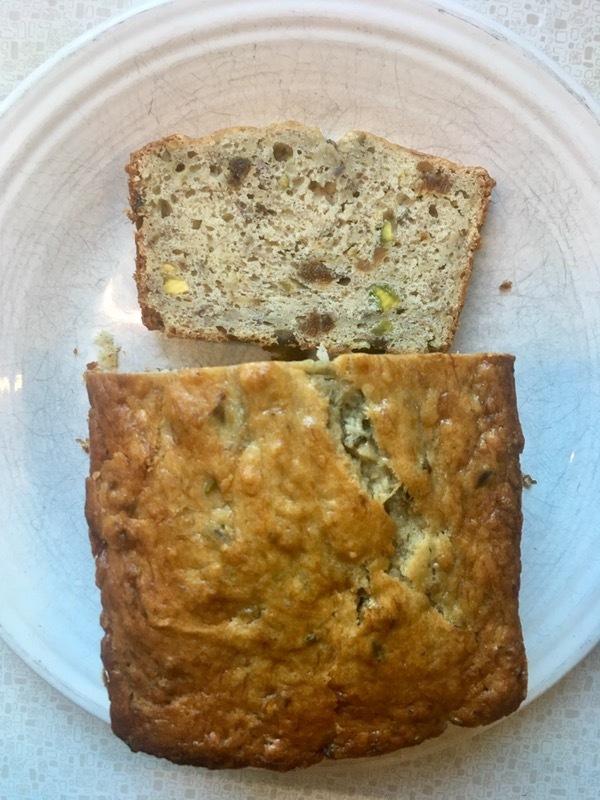 This recipe has been the most delicious normal-recipe I’ve experimented with – it’s classic banana bread with a wonderful twist. Normally, messing with something as tried and true as banana bread would be off limits, but I was too intrigued with this Joy of Cooking version from my 1975 edition. I absolutely love older editions of this cookbook, as some of the more interesting baking and cooking methods and recipes get lost to newer editions. What’s so different? Nothing earth-shattering: swapping butter for cooking oil, adding chopped dried apricots, and chopped pistachios. These add-ins were a delightful surprise are sure to become a mainstay in this house. I used 2 eggs and 1-1/4 cups of banana pulp, for denseness and moisture. The recipe gives a range, depending on how you like your banana bread. Understanding the science behind your ingredients will make you a better baker, and this is one reason why I really enjoy using the Joy of Cooking, as it reads much like a cooking text-book. I also really love the blog Kitchn, and this basic entry on eggs illustrates why this blog is great. My six-year-old daughter told me to leave out the ‘stachios next time, though. Funny, she loves pistachios on their own, but mixing foods together is still a no-no to her. In other news, the light snow we got yesterday is nearly gone, and I have found green grass in some corners of my yard! I am someone who loves snow, and appreciated yesterday’s beautiful snow fall through my windows, but am also understanding that most of my peers are just simply done with winter at this point in March. I’m off to ready Easter things for next weekend and finish up some of the last of my grad homework. There is a light at the end of the tunnel now! 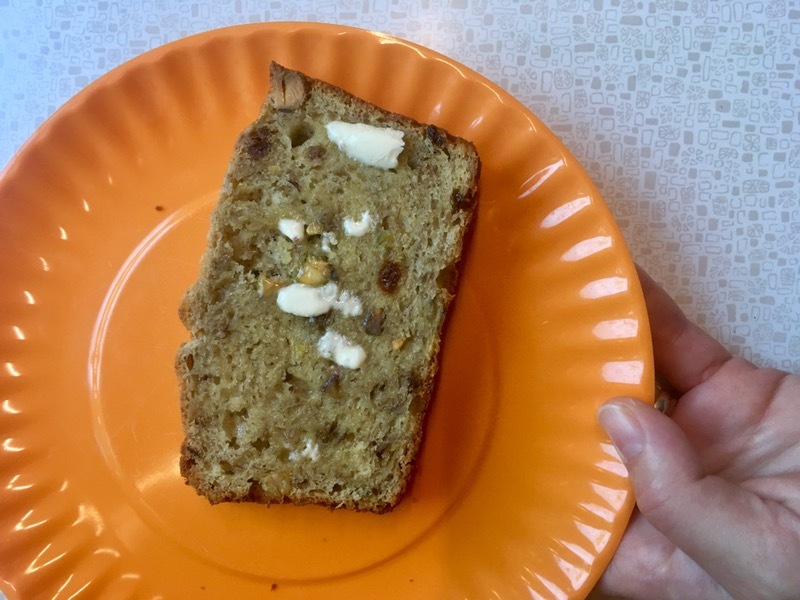 Quick Banana Bread – from Joy of Cooking, 1975 edition. Have all ingredients at about 70˚. Add the dry ingredients in about 3 parts to the sugar mixture. Beat the batter after each addition until smooth. Place the batter in a greased loaf pan. Bake the bread at about 1 hour or until done. Cool before slicing.